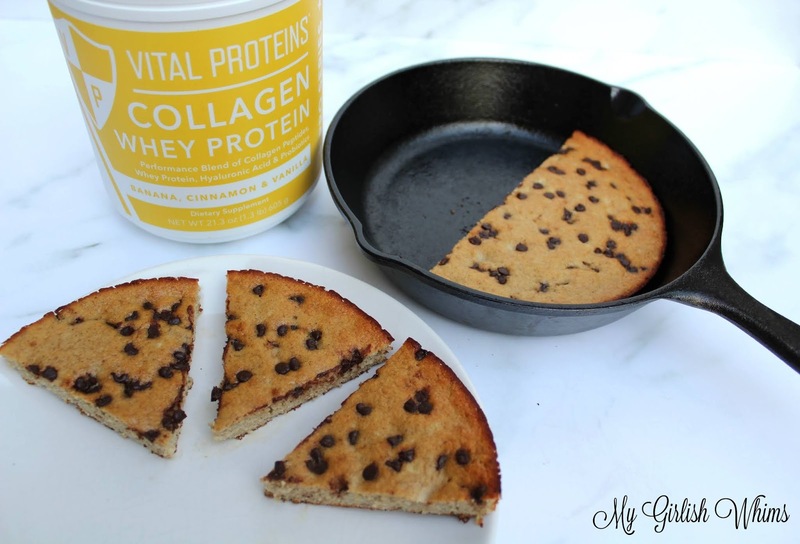 Thank you Vital Proteins for sponsoring this post so I can share the recipe for this low fat and high protein skillet cookie made using banana and collagen whey for a delicious dessert with added health benefits! This cookie is my new favorite dessert to whip up when I only have a few minutes but am craving something sweet that won't cost me a ton of calories. It's a low fat treat without very much added sugar but still tastes sweet and delicious - mainly because one of the major ingredients used is a ripe banana that adds to the sweetness and keeps the cookie moist without the need for any extra oil or butter. It is also high protein because the other main ingredient is banana cinnamon collagen whey from Vital Proteins! 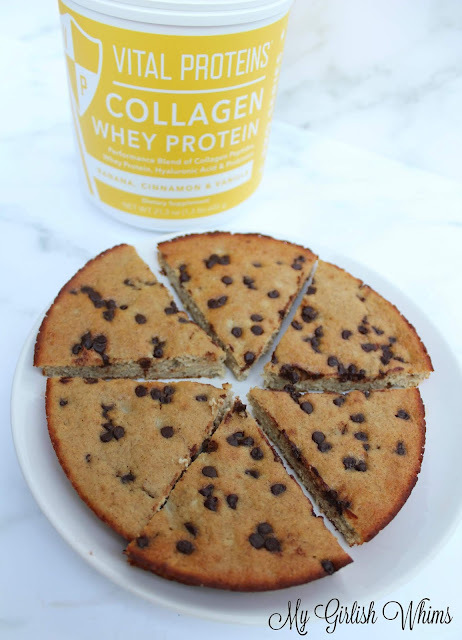 This collagen whey includes both collagen and organic grass-fed whey protein with other natural banana flavors, probiotics, and natural hyaluronic acid. It's a supplement packed full of added health benefits such a good gut health from the probiotics, improved athletic performance and improved recovery and bone/joint repair and flexibility from the collagen whey. 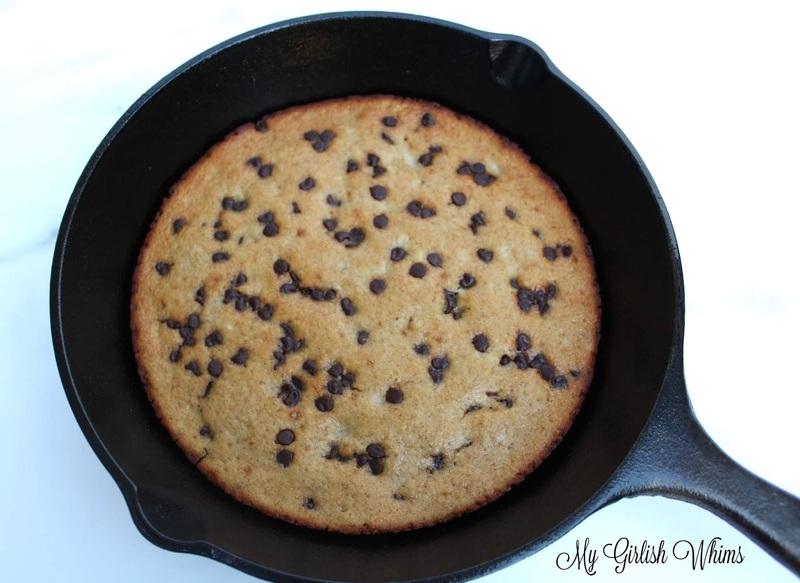 I baked my cookie in an 8 inch skillet pan. This skillet makes a cookie the perfect size to split in two and share with a friend or just save the second half for dessert the next night: if you store it in an air tight container the leftovers should last for another day! 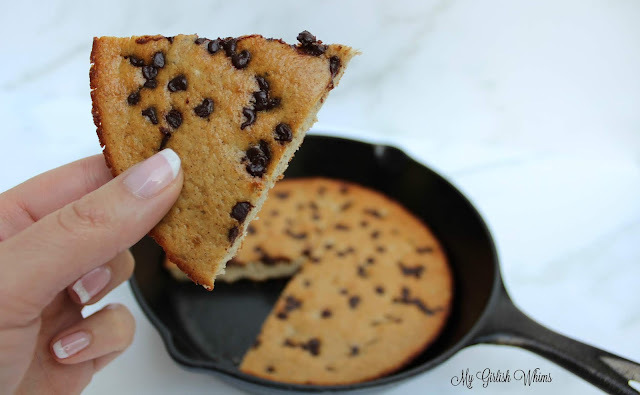 I will admit that I did actually eat leftovers of this for breakfast one morning...but with one serving coming in at just under 200 calories and packing 17 grams of protein in it, this cookie actually CAN be part of a nutritious and balanced breakfast! The collagen whey is the main dry ingredient used but I also added a bit of oat flour which makes this cookie completely gluten free! I used liquid stevia to sweeten the batter but I also tested the recipe using powdered stevia and sugar free syrup and both worked as well. I've probably made this 5 or 6 times now since I first tested it out and have LOVED it each time. I hope you enjoy! 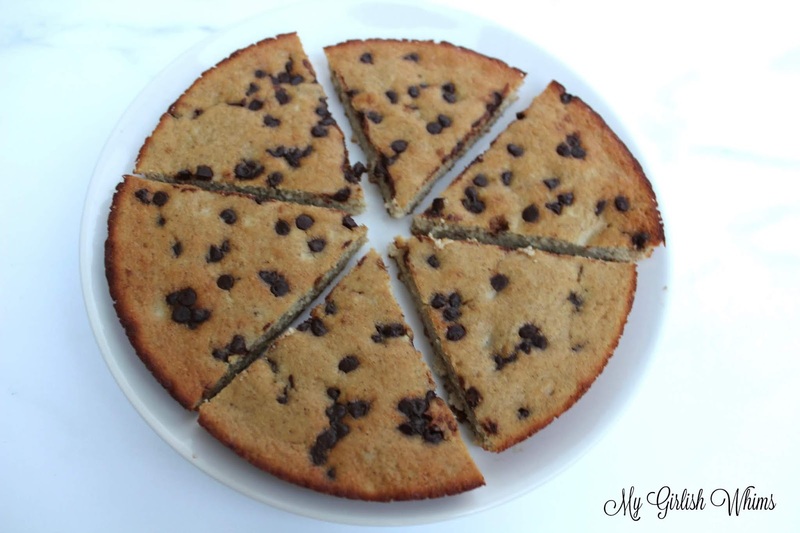 This recipe makes 1 large cookie. Half of the skillet is 198 calories with 26 grams of carbs, 3 grams of fat and 17 grams of protein. I would love to make this but I’m a vegan. So do you think I could substitute a different protein powder for the collegian? Very nice post. Thank you for sharing this useful information...Name Correction by Numerology. The cake is delicious, thank you for sharing the way. Such a good article. Thanks for sharing. We are offering the services of SEO in Gurgaon. If you want grow your business. You cam click on the link.